OK, so maybe not really shaking hands... more like a Karate chop! 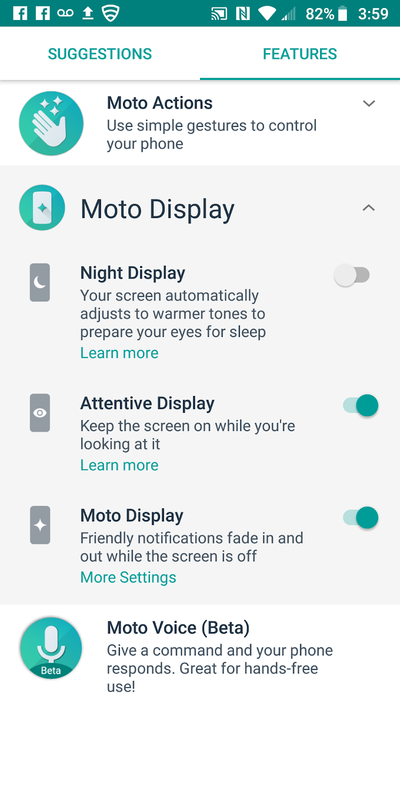 I'm new to Motorola devices, so pardon me if you're aware of the Moto Action capabilities that come on the Moto Z3 Play. I may be late to the party - I find them extremely useful and activate them regularly. Let's take a look at the Moto Actions. So, you're in a dark space somewhere - and you drop your keys. Maybe it's a movie theater or something. Sure, every phone has a flashlight nowadays and you can swipe through your options and turn on your flashlight. But what if you could just take your phone out of your pocket and without even touching the screen turn on and off the flashlight? That is exactly what you can do with the Flashlight Moto Action. Just whip the phone front and back 2x fast like a karate chop motion and the flashlight comes on. OK, it's not really a karate chop. Don't do that! On my first try I flung the phone across the room. Luckily it landed on the couch. Just shake your wrist in the same forward/back motion like a karate chop really fast and the light comes on. Do it again and the light goes off. It took me a few times to get it right. I thought the action was buggy at first, but now I realize it's all in the motion. It works every time! The next Moto Action works similarly to activate the camera - even from sleep. I was out with some friends to catch a band and I caught an impromptu moment to take a picture of everyone dancing. I just took the phone out of my pocket and twisted my hand left and right really fast with the phone in my hand and the camera came on. No need to unlock and fiddle with the screen. 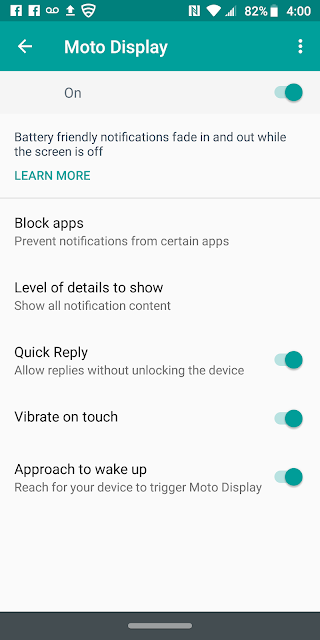 This feature is super cool to help ensure you don't miss that special moment. Twist and you have full access to the camera and all the features. 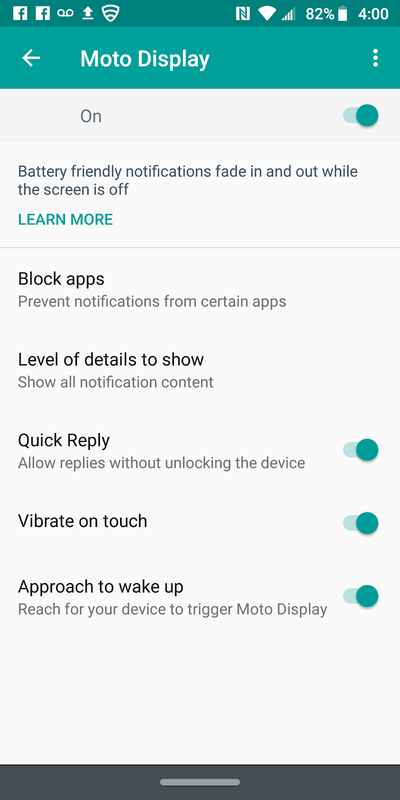 Also, the ability for your Z3 to read your movements even when the screen is off - just reach for the handset and the screen comes to life with date/time/weather etc. Other devices have this ability, but I still find it useful - They call it Attentive Display. Point here is you can keep the screen from going to sleep while you're looking at it - say reading an article. It's annoying when you have to wake the screen from falling asleep every 30 seconds. Disclaimer: I am super lucky to be able to take part in the Sprint Device Ambassador program. The Product Ambassadors love technology. They volunteer to test out all sorts of devices and offer opinions freely to the Community. Each Product Ambassador shares their own opinions of these devices, therefore the information in this post does not necessarily reflect the opinions of Sprint or the device manufacturers. The PA's do not represent the company in an official way, and should not be expected to respond to Community members in an official capacity. My opinions are my own. I am a Device Ambassador and Blogger... I am not a Corporate or Device Manufacturer spokesperson.